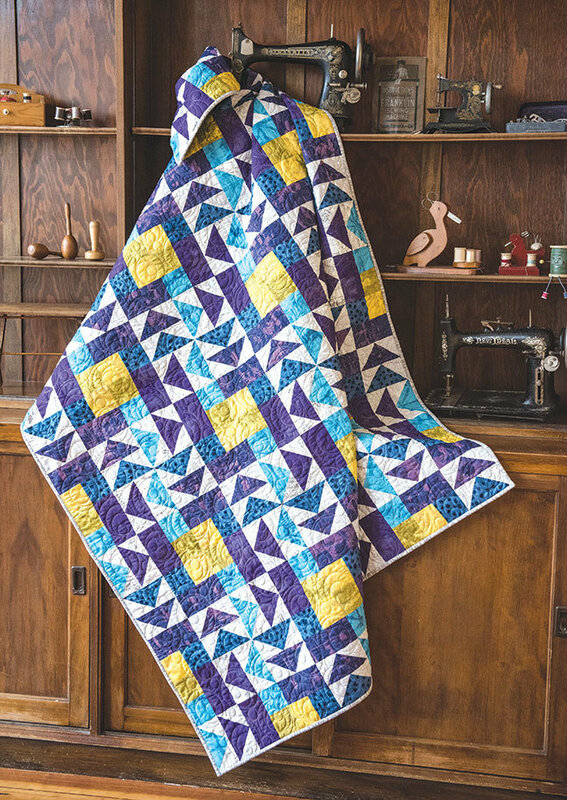 At first glance, this quilt appears to be made of Flying Dutchman blocks, as well as an alternate block with squares and rectangles. You’ll be surprised to learn the design is actually one block in two colorways. You will be using the 4-at-a-Time Flying Geese Units method to make the piecing of these blocks easy and accurate. 60" x 80" finished size.